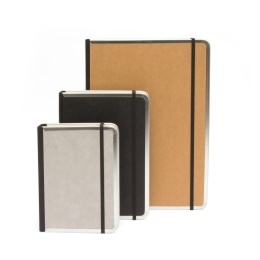 With a cover made from black, light grey or brown cellulose board, each diary BASIC is edged with metal for extra strength and has a practical back pocket for business cards or little notes. 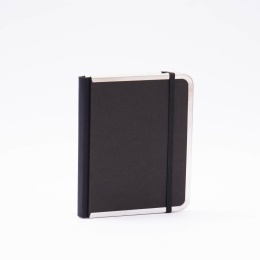 A flat elastic strap in black keeps everything safely in place. Our planers BASIC are all handmade and come in six different formats and two different views (1 week per double page or 1 day per page). 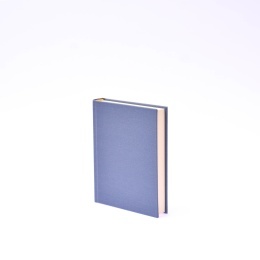 Each book block is thread stitched and made from premium cream writing and drawing paper. All our diaries include an address section at the end of the book block for your most important contacts and phone numbers. As a special feature, the 17 x 24 cm diary (weekly planer) contains additionally a folding coloured map of the world. Tough and sturdy: a reliable companion for all your adventures.